There was a time, back before smartphones and tablets, when most of us used, at most, only three operating systems. Indeed, for the average computer user there was only one operating system that mattered and that was Windows, which held a 95% market share. Even those of us who used Linux or Apple at home usually had to use a Windows computer at work–which remains true today. However, today’s computer users daily come into contact with many other operating systems than merely Linux, OS X and Windows. Smartphone and tablet users boot into Android and iOS, with some even using the more open Firefox OS and Sailfish OS. To traditional consumer computers we can now add Chrome OS for those who don’t mind doing most of their work in the cloud. Android: My roommate received a Nexus 7 tablet for Christmas, which has afforded me the chance to have a look at Android, especially as a tablet implementation. It’s nice enough. It’s responsive and quick. However, for my purposes a tablet is fairly limited in what it can do. It’s good enough for watching videos, surfing the web and playing games, but I can’t figure out how to actually get any work done on it. My roommate loves it, however. Since she got it, I don’t think she’s booted her old Windows laptop more than once or twice. 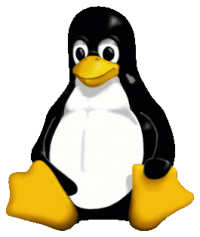 Since Android uses the Linux kernel, this OS may be most people’s introduction to Linux. 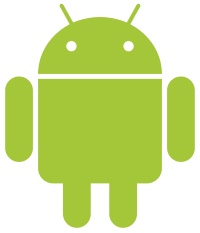 Rumor has it we might soon see a desktop version of Android. BSD: The BSD operating systems are just about as close as you can get to running Unix without actually running it. Indeed, the BSD lineage can be traced directly back to Unix. Because the BSD license allows for the code to be released under a proprietary license, it’s also the backbone of two other operating systems on this list. Both OS X and iOS are both basically modified versions of BSD. Because most BSD distributions ship with GNU, the desktop BSD user experience is almost identical to GNU/Linux. Chrome OS: This is, of course, the operating system behind the Chromebook craze. In addition, there are a few desktops available running Chrome OS, with more on the way soon. The operating system is designed primarily to take advantage of Google’s cloud infrastructure. Users of Chrome OS do their word processing through Google Docs, save stuff to Google Drive and check their email via Gmail. Like Android and Firefox OS, Chrome OS is based on the Linux kernel. Firefox OS: This mobile operating system developed by Mozilla is completely browser based and makes strong use of HTML 5. Indeed, all web apps are written in the markup language. It’s also completely dedicated to the use of open standards. Although phones preinstalled with the OS have only been available for less than a year, it seems to be gathering quite a following, especially in emerging markets. Hopefully, it’ll start being offered soon as a choice by mobile providers here in the U.S.
GNU/Linux: This is the Linux operating system that’s used on desktops and laptops, as well as the OS behind many if not most web servers. It’s strong, robust and open source. For a variety of reasons, GNU/Linux is much more secure than Windows, and is more stable as well. These days it’s usually pretty easy to find open source software to run on GNU/Linux to fit your every need. If you’re an XP user, you can load a GNU/Linux distribution on your computer, now that Microsoft will no longer be offering security patches, and extend the life of your machine. iOS: This is Apple’s proprietary operating system, based in part on open source BSD, for all of the company’s mobile devices. Because of the “walled garden” approach taken by Apple, iOS is considered to be somewhat more secure than Android, especially for non-techies who like to download and install a lot of apps. OS X This is Apple’s other operating system and is used on all of the companies “traditional” computing devices bearing the Mac or Macintosh brand. Like iOS, OS X is only available on equipment from Apple. Unix: This is a proprietary operating system originally developed by AT&T’s Bell Labs. For years, this was the most used operating system in the enterprise and powered most servers. There are several different “brands” of Unix, maintained and marketed by companies such as IBM, Oracle and HP. Although these different brands share a common code base, they aren’t identical. Since the turn of the century, use of Unix has been waning and it’s no longer has the dominance it once did. Windows: Practically everyone who’s ever used a computer is familiar with Windows. Although it’s still the dominant operating system on desktops and laptops, it’s fortunes are waning everywhere but as a server system. Currently, Windows is facing stiff competition in consumer space by Chrome OS and OS X. What operating systems do you use on a regular basis? Take our poll and let us know. I’d also be interested in seeing your comments. 19 comments to What Operating Systems Do You Use? I run Debian GNU/Linux and have an Android phone/tablet. I have some Debian based servers and KVM guests (running various flavors of GNU/Linux) as well. My wife uses a MacBook with OSX since her Windows machine died some time ago. One child uses Debian, while my youngest uses Windows 7 for now (due to school requirements). Contrast to less than two years ago: We all ran Windows 7, except my servers which ran Server 2008 R2. I upgraded the entire family to Windows 8 early (I’ve always been an early adopter) through a MSDN subscription. It lasted a few weeks, perhaps a month or so before the revolt began. Everyone hated it, and it had real problems beyond the general distaste everyone had for the UI. I faced a dilemma as I’d built a long successful career (since DOS 3) on Microsoft technologies, but wanted no part of this new direction (which is as bad as Apple’s). Do I go back to Windows 7? I tossed that option out almost immediately. No true technophile could live with that solution for long as it’s a dead end. Do I learn to accept Windows 8 with all of its user-hating limitations, in your face advertisements, and general untrustworthiness? Not bloody likely. Do I finally take the time to *really* learn linux like I’ve been promising myself for nearly twenty years? Yep. I can say with extreme confidence, I made the right choice. Screw anyone who tries to take control of MY computer away from ME. I’ve use a lot of different operating systems over the years, including RSTS-E, CP/M, MSDOS, WANG, BBCOS, Commodore, TRS80, Sinclair, various IBM mainframe, various flavours of Unix, Windows 3, Windows 95 through to Windows 7, and, if you include once as using, Windows 8, legacy Mac and OSX. I use Android (on my smart phone) somewhat reluctantly, due to privacy concerns, with Firefox web browser, with privacy addons, I don’t use the Chrome browser that comes installed and can’t be removed, I also use very few apps, and certainly not anything that wants access to my personal information and network access. I use Linux Mint 16 on two of my computers, Ubuntu studio on a laptop I use as a portable recording studio, and various Linux based operating systems on another laptop (currently Ubuntu 13.10). I haven’t had to use Windows in over 5 years (I did set up Windows 8 for some poor kid who has to use Windows for school, seriously can Windows get any worse). Retirement has many benefits. I tried IOS once, on an iPhone, it was so disappointing that I dropped the phone onto a concrete slab from the top of a flight of stairs, to claim the insurance on the device. I think that you’re a bit terse about Unix. You should know that Linux is a reimplementation of Unix, as is today’s BSD. The Unix culture has always been permeated by a community spirit, encouraging exchange of ideas as well as actual source code. As this is my first post on this site, I’m not sure if I’m allowed to post URLs. But you should really look up Neal Stephenson’s excellent essay “In the beginning was the command line” and read it through. It’s available on the Web in several places. Although The Neal is now back in the Apple world, he’s at least true to his Unix roots. @Leif I’m not sure what you mean by “terse” here. In this article, by word count, Unix got the second largest write-up, behind only GNU/Linux. I certainly had no intention of selling Unix short. BTW, if you post only one URL in a comment, it’ll go right through and post automatically. Two or more URL’s in a single comment will put the comment into a cue for approval as a spam prevention measure. @Christine, by “terse” I meant that you simply state that Unix is a “proprietary operating system” and don’t bother to tell that Unix is the grandmother of all (widely used) current OSes except for Windoze and the mainframe world. Your statement may be technically true, but it’s but a tiny part of what Unix actually is. Unix is an entire philosophy centered around Ken Thompson’s maxims “do one thing, and do it well”, and “when in doubt, use brute force”. Those maxims are still taken to heart in most of the GNU/Linux world. Historically, Unix had much of the same roots and the same underlying ideas as the hippie movement. I was born in 1952 and went to high school at the time that Ken Thompson and Dennis Ritchie invented Unix, and I know very well from my own experience what was going on in the cultural “war” between the “square” old-school mainframe philosophy and the new “hip” Unix movement. The same thing can be said of the write-up on every other operating system on this list. I’m very familiar with Unix. Unfortunately, this article had to come in at under 800 words and the list is only meant to be thumbnails of each operating system, not an end-all-and-be-all report. Our audience here at FOSS Force is pretty tech savvy. I’m reasonably certain that most of our readers are very knowledgeable about Unix and that Unix DNA is found in all of the other ‘nix operating systems, including OS X and iOS. Don’t think that this is relevant at all, but I’m in the chat mode: My father was in the upper levels of the local fire department, and the most technical-oriented thing that I did with him was to travel around and change the light bulbs in the fire alarm boxes. However, there was a guy at the fire station who actually built his own TV set from scratch. Was that something. And how the time flies. What we’re doing now, wasn’t even invented as science fiction at the time when we grew up. I remember reading about interstellar adventures, where the heroes carried slide rulers like swords at their sides. @Leif Yeah. I remember watching the first few episodes of Star Trek and when they’d bring out their communicators I’d say to myself that there was no way a little hand held device like that could put out a signal that could be reached a couple of miles away, much less reach something in orbit. Your mention of a slide rule brought back memories. Dad always had his slide rule out when he was designing a new piece of equipment. He grew up in a log cabin in the mountains of North Carolina and taught himself electronics. Built his family’s first radio and as a kid was the first person in his county to ever get a ham radio license. I have a feeling that he would have something in common with your father’s friend who built the television. Eh? The BSDs are direct descendants of BSD Unix, they aren’t reimplementations of anything. GNU on the other, well I’m not sure what that is… something that’s kind of like Unix but not really? It’s also worth noting that Apple’s OS X is a fully certified UNIX. I’m not sure a lot of people understand that the Proprietary systems are really controling the users. The user has to accept what is promoted, developed and decided as what you either need or should have installed on your system/s. The users have no access to the source, nor access to the developers! It’s a command and control “slave” system! Free as in freedom as in beer software offers the user access to the source code, and/or the developer. This is true freedom! An opportunity is presented for the user to control the system! I was introduced to Linux in 2000 via Mandrake, and I have been using it every since. My favorite mainstream distro is Debian mainly for its stability and ease of use of apt. For a while Ubuntu was my goto distro, and I don’t mind Unity at all, but in the last year I decided to stick with Sabayon Linux and the KDE desktop. I get great stability, almost all the applications I would ever want in the repositories, and I never have to reinstall because Sabayon is a rolling release distro. I feel extremely limited by OS X, and Windows is just a headache. My father has been using Sabayon for more than a year now (he lives in Europe) and has had no problems with his system whatsoever. Once in a while I update his system via ssh. I have lived on both sides of the fence. I used to be a Windows Admin, and I learned Windows from the Win’95 era….all the way through to day’s iterations of Windows (which leave much to be desired!) I “found” Linux in 1996 but I never really dived into it until much later (around 2007!) it was when I finally had enough of dealing with Windows that I jumped in feet first and wholeheartedly, I learned quite a lot, had to re-install a few times, accidentally deleted my hard drive while trying to blank out another one, have locked accounts, deleted user home directories and been through most screw-ups that can happen to a newbie, but I’ve learned a great deal us8ing it, and now that I’ve made it my main OS for all my home PC’s I don’t think I’ll be going back to Windows. Ever. Its not that I hate Windows, and since I’ve never used Mac OSX or anything else from the Apple came, (due to not being a millionaire! ), its just that I have found being the “master” of my PC is awesome, and I won’t relinquish control of my PC to any manufacturer of software ever again! A worthwhile mention that Christine omitted was that the new Sony Playstation 4 uses FreeBSD as it’s core OS. Such fact should clarify, to Windows worshippers in particular, that th BSDs are very modern and capable at least, and not ‘legacy’ OS as pejoratively and frequently stated. In fact several school districts in South American countries, Spain and a few in USA use FreeBSD or NewBSD with NX REmote Desktop services for very fast and efficient Windows, Linux and other client usage – to great success. Windows and Android. I only use a Linux distro (CentOS) these days if it’s a server, otherwise Linux distros are not really useful to me. I just had to chime in and say that back in 1979 AT&T offered a source license for Unix version 7 for $100 for Universities. By 1984 this had morphed into Unix System V version 2.0 and the source license was increased to $800 for educational use and $43,000 for commercial use. Although it was a bit before my time (I’m 48) Unix version 6 was passed around a lot of different places back in the day. If you look at dumps of 9 track magnetic tapes from that era you will see that the full source is available. So it’s clear that early on (Unix v6 first appeared in 1975) that it was pretty much open source. It’s only later on that things got closed up and a ‘Dark Ages of Computing’ happened, which in my reckoning spans the years 1985 to 2000. Also the old IBM operating systems like DMS, OS/360-MVT, and VM/370 were basically not copyrighted, so they could be considered open source as well. The problem back of course is very few people had access to computers at all. I do actually run OS/360-MVT sometimes under hercules. I also run Unix v6, v7, 4.3BSD, 2.11BSD under simh.